AFTER Picture of the Stunning Kitchen Remodel. Notice the attention to detail. Modern design – Pendent lights over new kitchen island, stainless steel appliances, incorporation of grate room comfort with bench seating under new large window, separate bar area for entertaining, open floor design, modern white cabinets with unique complementary backsplash treatment. Cooks Kitchen and Bath created a universal design that worked for the kitchen and entryway remodel. 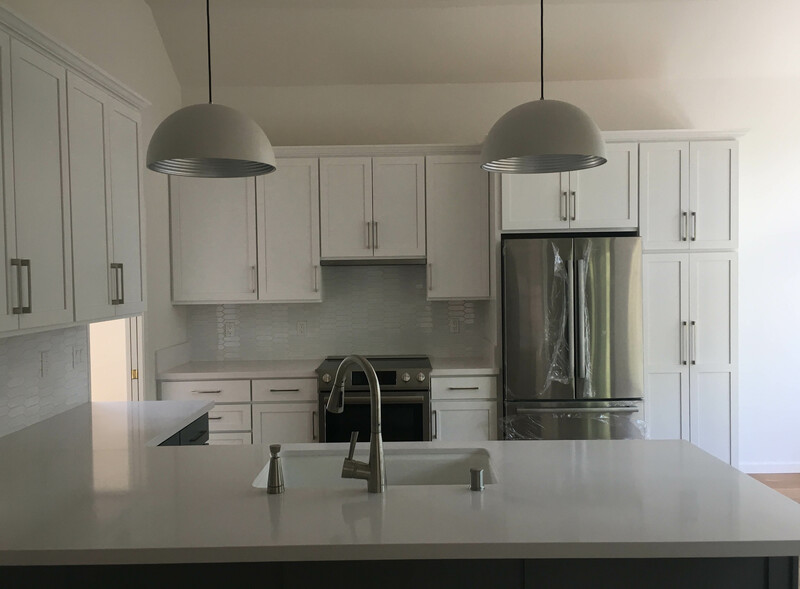 They are a general contractor, specializing in residential remodeling focusing on exceptional customer service.